Direct Mail represents 24.9% of local advertising of the total local ad revenue. Total local ad revenue is forecast at $148.8 billion. Direct mail marketing touches most of us every day, at home and at work. The volume of direct mail consumers receive is so high that many refer to it as “junk mail.” Direct mail hasn’t disappeared, but has certainly declined in volume over the past 10 years. However, more marketers are adding mail to their array of integrated marketing tactics, because the engagement is growing as the clutter declines. While overall response continues to increase, there was a slight (2%) decrease in overall mail delivered according to the USPS. This is most likely due to better targeting and larger budgets directed to online efforts. Messaging can be personalized with the intended recipient’s name – well-designed pieces can make the recipient feel that the piece was created expressly for them, engendering a feeling of trust. Can be cost effective, depending on design and production methods. There’s no limit to the length of the message – can be a few lines on a postcard or a sophisticated package. Direct Mail is less disruptive in comparison to online ads. A well-designed direct mail piece makes it easy for prospects to respond by including a response card of a postage-paid envelope for privacy. Flexible – can be as simple as a card of flyer or may contain an actual free product sample. Businesses can build databases based on responses to mailings, and maintain current database. Mailings can be targeted within specific geographic areas or by interests of recipients. Even though costs are high, scale and ROI remain strong when direct mail is delivered to a well targeted audience. Cost of designing and producing an effective direct mail advertisement can be high. Timing of distribution is often critical to direct mail campaigns, but design, production and mailing times can be difficult to predict. Targeted mailings are only as good as the mailing list used – addresses can be out of date. Some consumers will ignore direct mail pieces because they feel that the print mail/catalogs seem like they serve other people's needs, not people like me. Privacy policies – “Do Not Mail” lists. According to a Marketing Sherpa report, one of the reasons that Direct Mail is ignored by consumers is that they don't trust the print mail/catalogs to provide them with the information they need to make purchasing decisions. A single mailing seldom produces results, so multiple mailings over time are required, accumulating costs. The mailbox is typically a cluttered environment – the direct mail piece is delivered with many other pieces. Radio is a perfect complementary medium. It can help direct mail. Radio as a standalone medium can generate a 29% lift in search. Consumers hear only one radio ad at a time, in contrast to the clutter of many pieces of mail delivered at once. 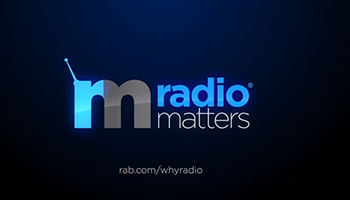 Radio generates new customers by branding an advertiser. Consumers who are familiar with a brand may be more receptive to direct mail pieces they find in their mail. Radio ads run concurrently with a direct mail campaign can educate consumers about the business and direct them to check their mailboxes for more detail, ordering, etc. Radio can amplify a campaign's impact. In fact, radio can drive awareness lift of a direct mail campaign by 78%. Radio Ad Lab and other studies since then have established that listeners feel a personal connection to the radio stations they tune to, so hearing an ad on radio and finding a direct mail piece in the mailbox for the same business may alleviate the perception that they're receiving junk mail. NOTE: Click browse to select your logo. For best results, logos should be no more than 300 pixels wide by 150 pixels high. For more help call 1-800-232-3131.